Jump at the Sun: Batchoy, Here We Come! I'm going on a short leave from work (and blogging) starting tomorrow. We're off to Iloilo (and maybe Bacolod) for some bonding time with my sister and some friends. 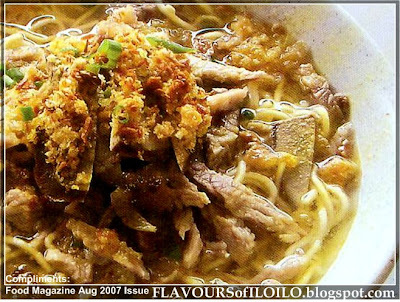 I can't wait to eat Iloilo's original la paz batchoy soon! As you can see, when a preggy mommy wants one now, she gotta have it NOW!! !